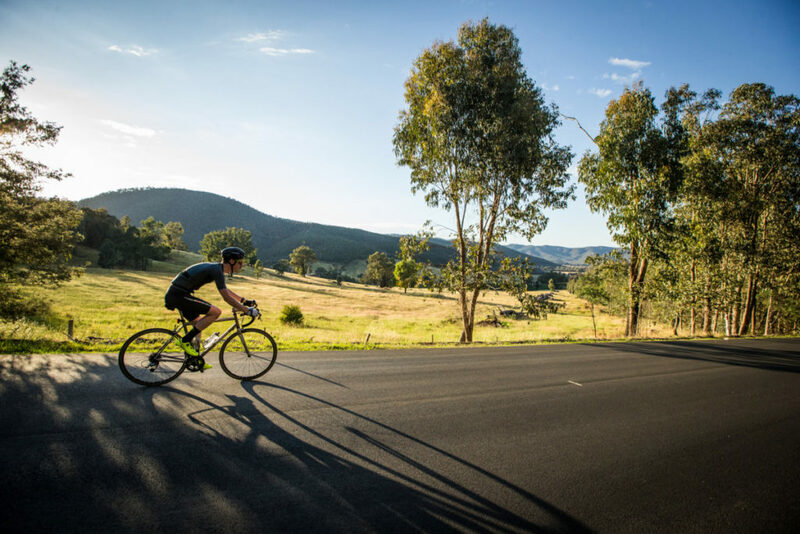 Beechworth is a little hilly, so let's hop in the car and head down to Everton where the locals go for an easier ride. • Head out from Everton along the Great Alpine Road, towards Wangaratta. • Turn left into Markwood Everton Road. • Cross the Ovens River and turn right into Markwood-Tarrawingee Road. Follow on to River Road and carefully cross the Great Alpine Road. • Do a sharp left onto Beechworth-Wangaratta Road, then a sharp right onto Boralma Road. • Follow until you intercept the Rail Trail. Turn right and then follow the sealed trail from to White Post Road and back into Everton.